Regardless of which line of pan liners you choose, nylon or poly, you're getting a product that has been tested to withstand temperatures of 400°F. 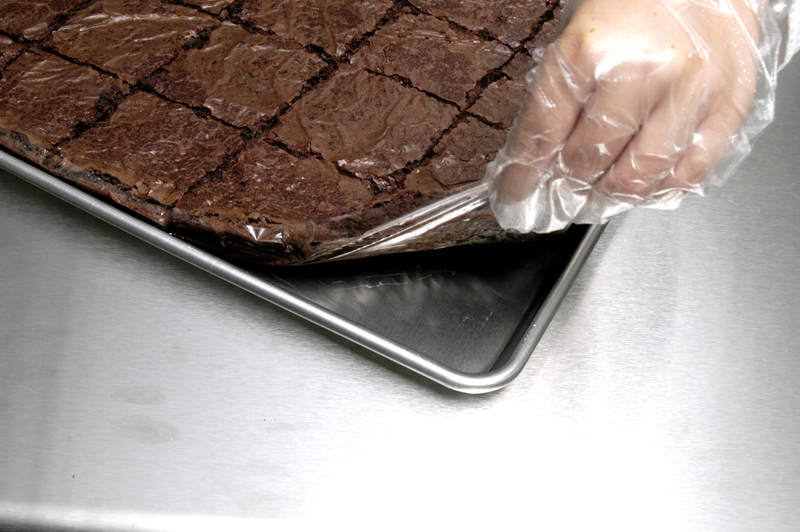 Elkay Plastics Bakery pan liners save you money by reducing your clean up time in a busy kitchen and can extend the life of your pans because of less scrubbing. Elkay Plastics poly pan liners offer the best quality at affordable prices. Poly pan liners save you money by reducing your kitchen clean up time and extend the life of your pans. Thinner gauge poly pan liners provide for better flexibility. Elkay nylon pan liners save you money by reducing your kitchen clean up time and by extending the life of your pans from less scrubbing.